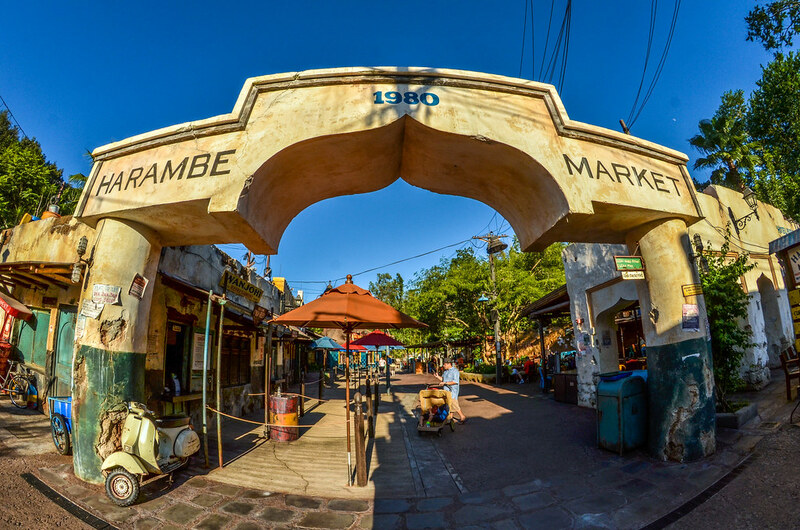 Harambe Market is a fairly new counter-service option at Disney’s Animal Kingdom. It is located in the Africa section of the park. 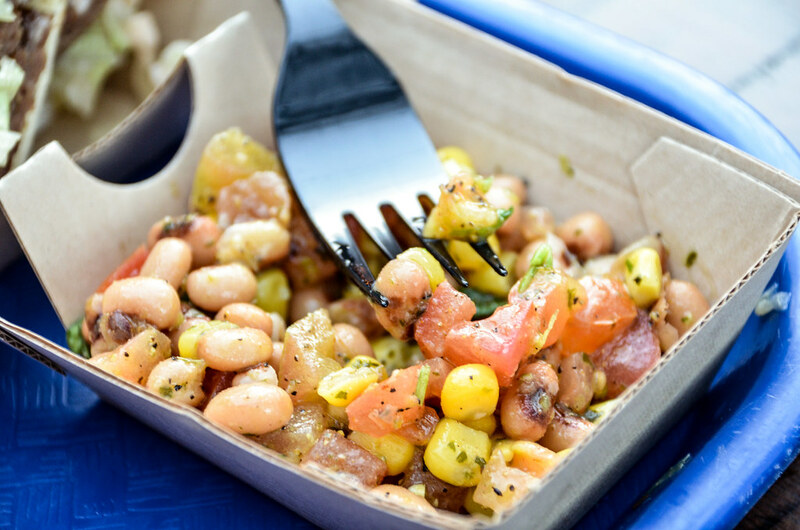 They serve African-inspired fare, in the form of spiced meats and somewhat authentic salads. This area was built on a piece of land that was previously unused and opened in 2015. 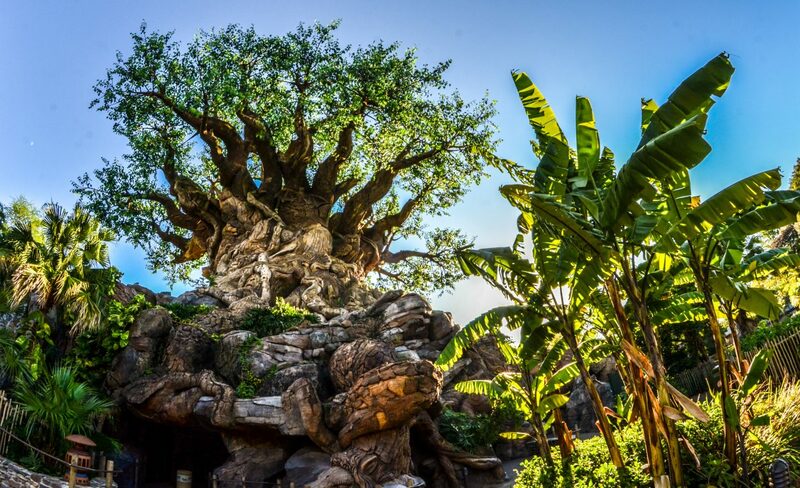 I’ve raved about Animal Kingdom’s details since this blog started and Harambe Market only improves upon that. The aesthetics in this area closely match those of the Harambe that previously existed. 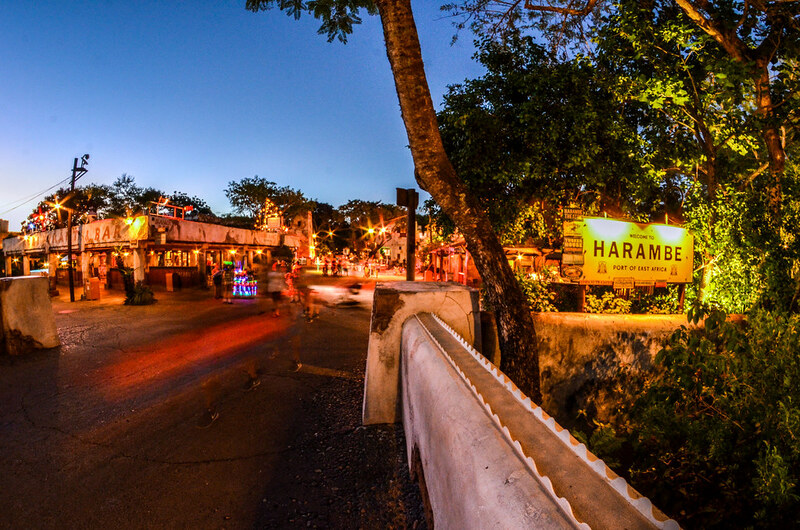 Harambe Market tries to replicate a street market in Africa, with a vibrant yet beaten-down look. 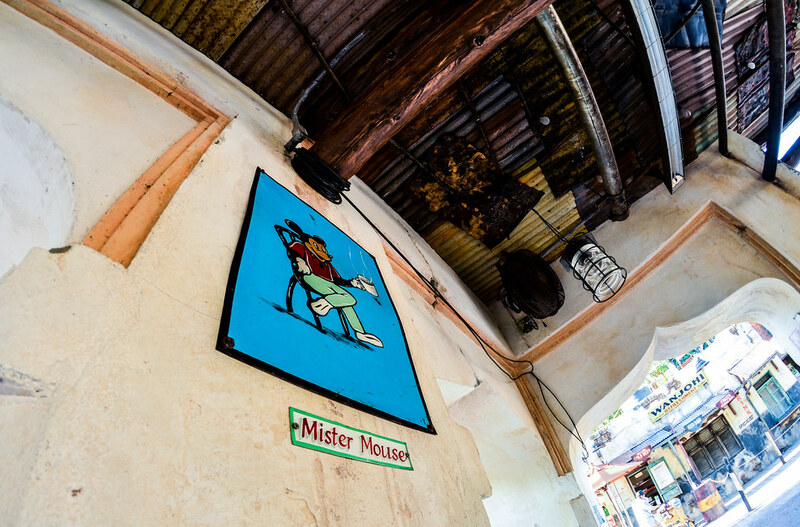 Some of my favorite parts of this area is the artwork around the seating area. 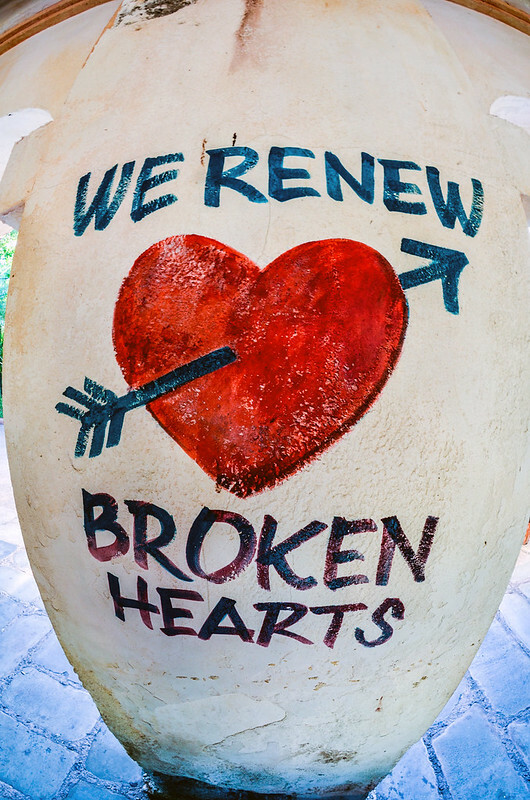 Despite the somewhat run-down look (which is completely intentional) this artwork and the messages bring hope and spirit to the area. In the area directly outside of Harambe Market there is live entertainment, mostly in the evening. I hope that this live entertainment persists, even though this isn’t a high traffic area. It added to an already wonderful ambiance that this area has. Once Rivers of Light and Pandora open, I imagine more people will be at the park in the evening. Having live entertainment available in areas where there wouldn’t normally be crowds may help spread some people out. The way Harambe Market is set up is with 4 counters. Each says they sell something different, in reality most of them sell all of the items available. The one exception is that the beverage counter is the only place to get select beverages. Here is the menu for Harambe Market. 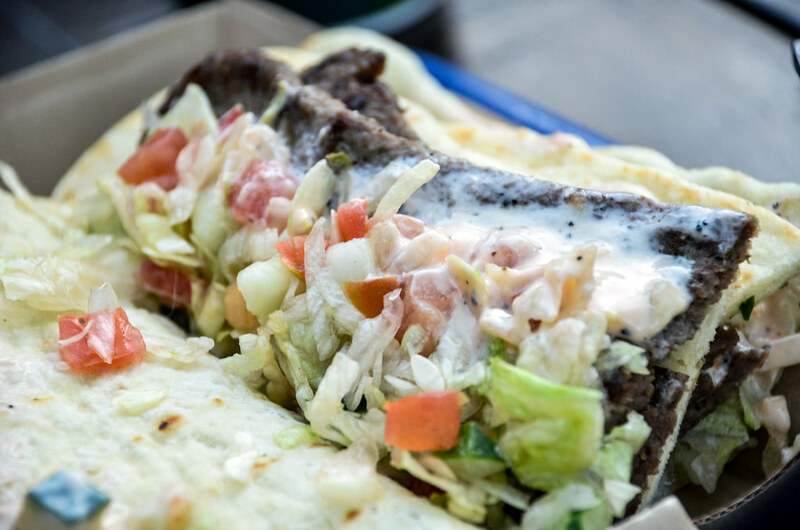 The ribs and sausages looked especially good but I eventually settled on the All-Beef Gyro Flatbread. I’ll start with the main course, being the gyro. The meat was delicious and had a great seasoning on it. There’s no doubt that Disney can at times cut back on risks and avoid some of the more interesting seasonings. That’s not the case here, the beef was cooked to perfection and was the main taste in the gyro. If the beef was the main taste here the sauce was second in command. The sauce was a nice compliment, being a little creamy with a small kick. This is more of a traditional sauce that you’d have on most gyros. Overall I thought this dish was one of the better main course counter-service options that I had all trip. Moving on to the secondary options, the gyro came with a black-eyed pea salad and a green papaya slaw. The salad (pictured above) was decent and different. I don’t love beans so I can’t judge this all that fairly. With that being said, I thought this blended a few nice flavors. The dish was fairly sweet and was very fresh. The slaw was delicious and also somewhat sweet. It did have a bit of a spice to it, so if you’re not a fan of that then this might not be for you. I, for one, loved the slaw. This Malva Spice Cake was my dessert. I thought it was good but not great. The cake was moist and I liked the frosting on it. This was a quality counter-service dessert but nothing that I’d go out of my way for. 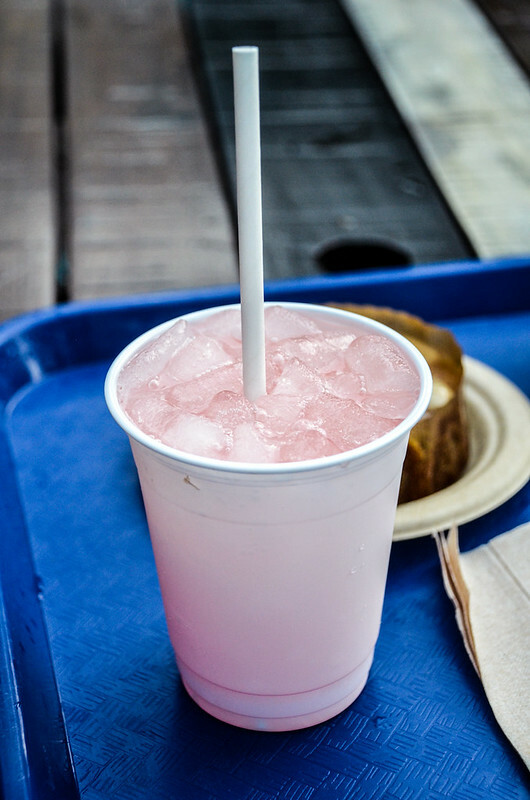 I also had the Watermelon Lemonade and that was a refreshing compliment to the meal. 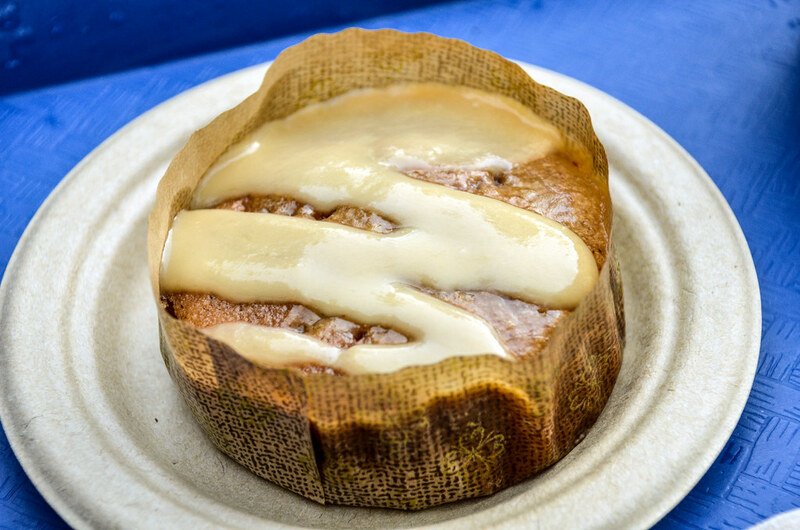 Still, it didn’t have anything on the Mandarin Lemonade over at Flame Tree Barbecue. Next time I try this place I’d much rather try a more unique drink (rhyme!) at the beverage section of Harambe Market. 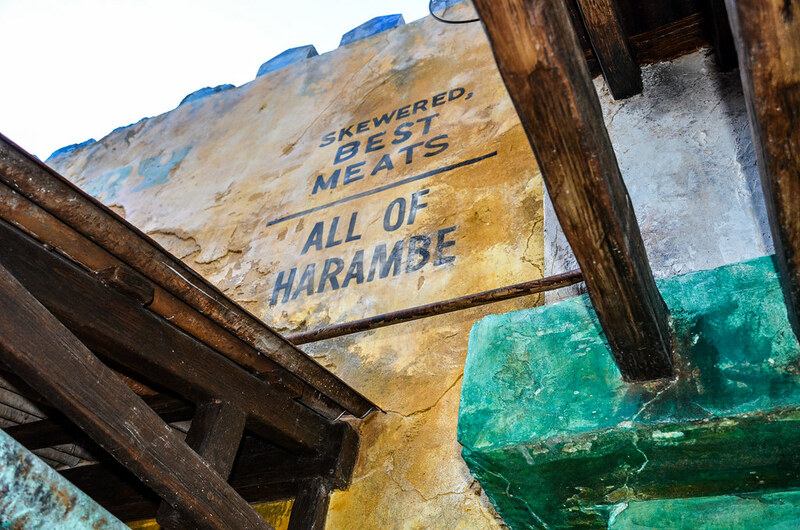 All in all, I thought Harambe Market was a very welcome addition to Animal Kingdom’s already surprisingly good counter-service options. Not only did the restaurant offer fairly unique food, but the seating area was beautiful and inviting. I’m hoping that the area grows in popularity as Animal Kingdom becomes a more viable nighttime park. I heartily recommend Harambe Market. Thanks for mentioning the spicy-ness, I can’t stand anything remotely spicy so it’s always helpful to be warned! My wife is the same way so I try to mention it when I remember!